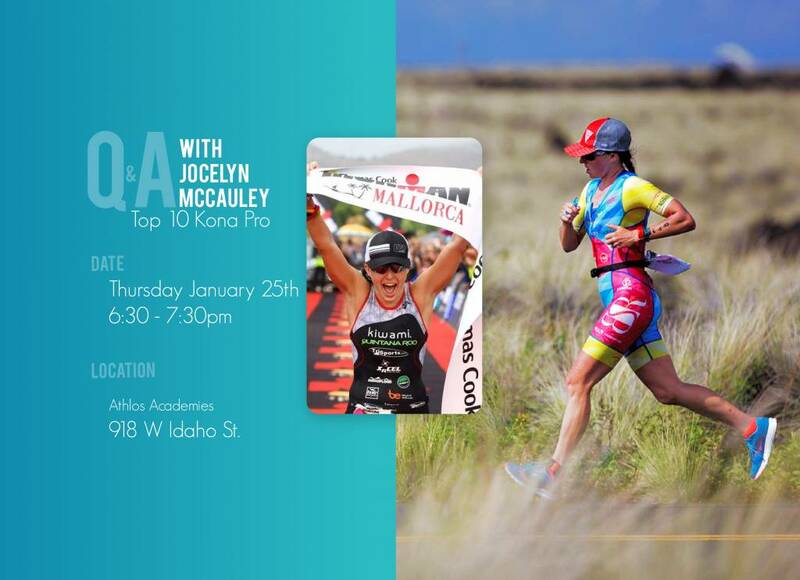 Join us for a Question and Answer Session with Professional Triathlete Jocelyn McCauley! Did you know top 10 Kona Ironman finisher Jocelyn McCauley recently moved to Boise, Idaho? In just a few short years, Jocelyn has become one of the top triathletes in the world, having won multiple Ironman events around the world. We're excited to have her living her in Boise, and would love to have you join us for a casual Question and Answer session with her on Thursday, January 25th. All details can be found below. Format: Rick Gividen will lead a casual question and answer session with Jocelyn, covering topics from her personal and athletic background to her experiences racing as one of the World's top triathletes. Afterwards Jocelyn will answer attendee questions. A selection of appetizers and drinks will be provided.